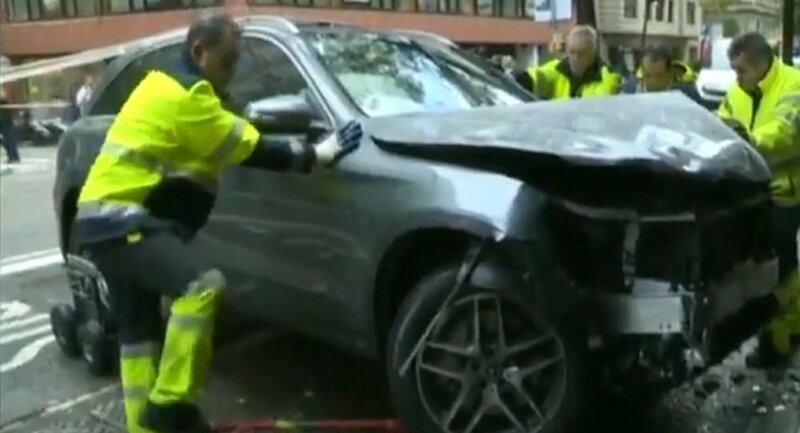 The new video, published by Noticias CMM, shows workers cleaning up the damage caused by the incident and putting the ill-fated SUV on a tow truck to be taken away. Un vehículo ha entrado en la acera y ha atropellado a varias personas en Barcelona, entre ellas una niña de diez años, que está grave. — Noticias CMM (@CMM_noticias) 9 ноября 2018 г. Earlier, Sputnik reported that the incident, taken place at a busy intersection in the city center, caused at least two injuries, with seven ambulances called to the scene to help victims. A 10-year-old girl was rushed to hospital in serious condition. The driver of the SUV was reported to have lost control of the vehicle after suffering dizziness. Police are continuing their investigation into the incident.